The Two Strap Ankle Wrap from Hely Weber is an elastic slip-on ankle model with an adjustable figure eight wrap to provide additional compression and support directly around the ankle joint. 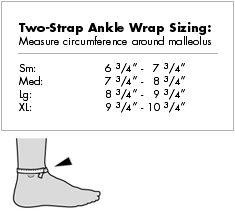 This support wrap provides long-lasting ankle compression and has a tried and true design that has been used by physicians forever for the management of chronic swelling and ankle sprains. The Hely Weber Two Strap Ankle Wrap has a closed heel nylon stockinette design that provides equal compression to the heel and the ankle. The wrap is applied in a Figure-8 design and secures nicely to the stockinette around the ankle joint where the wrap is needed most. 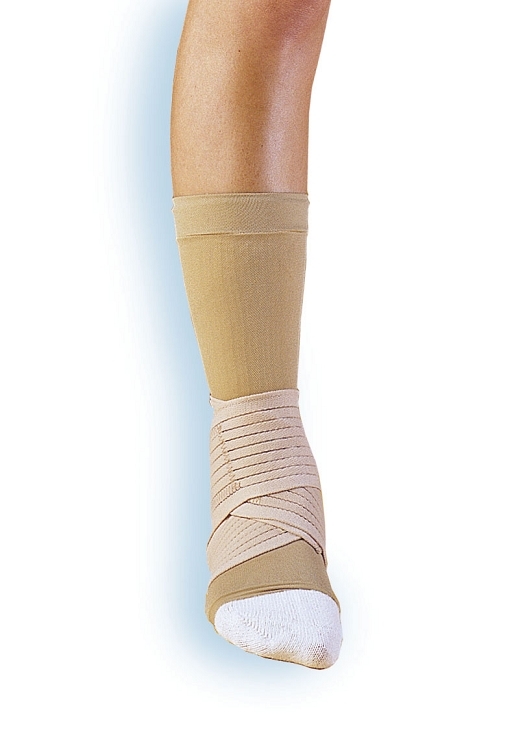 This Hely Weber model has a fitted elastic design to reduce swelling and to provide comfort and support.